The Legend of City Center We interview the smoothest carpark attendant ever! One step closer to the World Cup! It’s been a little quiet in terms of events this month, as is usual for Ramadan. Not much besides, tents and coffee shops, and lots of TV! There are the occasional Ghabgas going on at most hotel tents, so check those out, but for a special different one, be sure to pass by the BIBF Ghabga on the 14th. More than your average buffet and gathering, it’s going to have a full showcase of talent, including the Bad Dream Crew (breakdancers), The Mighty Jugglers, and much more! The AutoX is also going at the BIC, so for all you motorheads out there, give it a visit for some high adrenaline action. With Eid approaching, the number of events starts to increase! On the 22nd, we have the All in One Comedy show, screening DVD’s of exclusive clips from some of the major comedy events in Bahrain, as well as a number of live local acts. The Sufi Festival in La Fontaine brings back the world-famous Omar Sarmini group, and for those looking to win prizes, check out Alwatan Quiz in City Center. Rockers will get the chance to view the best of local bands in ReFlux, while those looking for softer arts can witness the return of Elham after their summer break, with live acoustic blues, photography, and artwork. Finally, for those who want to get away from it all with a good book, be sure to check out the Book Fair at the Exhibition Center starting on the 30th of the month. HalaBahrain Mail Got something to say? Whatever it is, let us know, email us on: admin@halabahrain.com. Best letter of the month wins a brand new Apple iPod Nano! ———— FROM: Ram SUBJECT: Music Interviews Great magazine! Would be really cool if you could do Bahraini musicians reviews! Haha, the food reviews stopped during Ramadan! No seriously we’ve got some pretty cool reviews lined up for the coming issues ;) Keep your eyes open! take revenge on the shame caused to him by my father years ago after losing battle under his sword. The Ninjas snuck in under the darkness of the night, attempted to attack us, but I slid under the shadows and attempted to kill them using stealth techniques once passed on to me by my father. Sadly, the ruckus caused a bit of a mess, during which my iPod was broken. 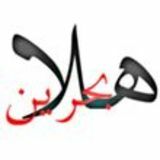 HalaBahrain, please help! I need a new iPod! Send quick. Thanks. We did a few in the past, and more to come! For now, check out our sister website, www.BahrainTalent.com! ———— FROM: Jizzy SUBJECT: Where’s the food! We loved the food reviews! Where did they go!?!?! ———— FROM: 7amood SUBJECT: Sport Reviews What happened to your sport section? Yes they do! Itâ&#x20AC;&#x2122;s been another crazy UrFilez event at Seef Mall, with hidden talents from all over Bahrain coming out to show the island what theyâ&#x20AC;&#x2122;ve got! There were drummers, singers, break dancers, guitarists, and much more. Ramadan nights are not just about food and TV! Those looking for gasoline related excitement were in for a treat, as drifting and autocross took place at the BIC! If you havenâ&#x20AC;&#x2122;t managed to pass by to get your share of burning rubber, not to worry, the events are on during selective nights till the end of Ramadan! Itâ&#x20AC;&#x2122;s our very own version of Trick or Treating! 15 nights into Ramadan, the children dress up in colorful traditional clothes, and go around from house to house in the neighborhood, singing the traditional Gergaoon songs, in return for sweets, nuts and all sorts of goodies. The houses gleam with decorations and lights, as the neighborhoods light up with the sounds of singing children. Weâ&#x20AC;&#x2122;ve captured some of the Gergaoon moments from all around Bahrain (mainly from Muharraq & Manama). Enjoy! it became evident how many people were really fans of his smile. Within mere days, the members of this group had hit the thousands, and multiple other groups, photographs and videos were springing up all over the internet. The reason? A simple smile, a simple wave. Gulzar had managed to brighten up the days of many, who may have been brought down by the stresses of life, whatever they may be. We passed by Gulzar to find out a little more about him, and to try and figure out the secret behind his wonderful smile. So, Gulzar, our very own Bahrain celebrity! Where are you originally from, and what were you doing before you came to Bahrain? I’m originally from Pakistan, where I recently retired as a Corporal in the Pakistan Army Military Police. I came to Bahrain last August to work with a firm that provides security services. Do you know that you’ve become quite a celebrity around Bahrain? I haven’t really noticed. I see many people smiling and waving, but that’s generally how everyone is around here, very friendly. So what’s the secret of your smile? Well, no matter what, everyone should do what they’re doing with a smile. I work here to support my family back in Pakistan (Gulzar has a wife and three children back home), and do my job with them in mind. No job is too small if it supports your lifestyle adequately. One should do everything with a smile, and look good while doing it! And yes, Gulzar’s gliding movements as he guides the cars out of the mall have earned him the nickname ‘Mr Smooth’. Check out the YouTube video or the videos up on the Facebook group just incase you haven’t been fortunate enough to catch him in person. City Center GM, Derek Rossel mentioned that the management have already recognized his efforts, and awarded him a number of times for his strong work ethics. So there you have it; pure inspiration for all of us, and another reason to keep a smile on your face every day! Bahrain is moving up the social ladder and the birth of Fashionaires Middle East brings yet another international concept to the local market. The events created will be focused around fashion and luxury and will range from art-gallery events, nightlife parties, neverbefore-seen photoshoots, store launches, brand launches and much more. "Our philosophy is that we are not cutting edge, we cut the edge. That being said, we are happy to have Fashionaires Middle East launching in Bahrain in October. This is an exciting step for us and amazing things are going to be happening with Fashionaires in 2010. The team keeps on getting better and we love it," said the CEO of Fashionaires, London. Keep an eye for it over the coming few months!